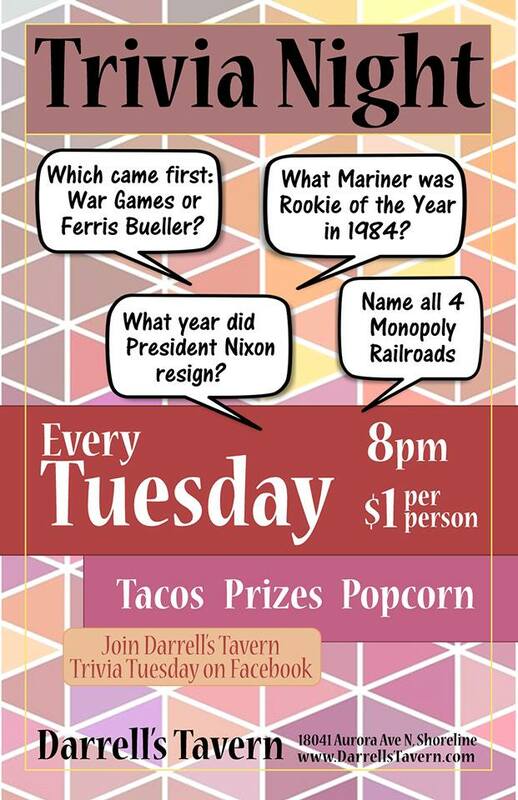 TRIVIA TUESDAY @ Darrell’s Tavern !!! Win $cash and prizes .... Fun and Delicious ! TRIVIA starts at 8PM !! !